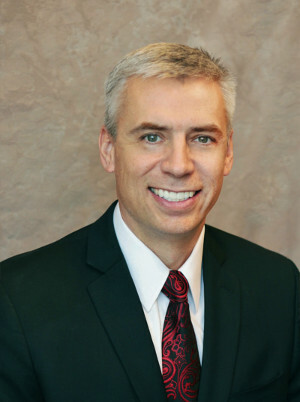 Dr. Rodgers attended college in Utah where he received a Bachelor of Science degree in 1991. He attended medical school in St. Louis graduating in 1995 with a Doctor of Medicine with a Distinction in Research. From 1995-1996 Dr. Rodgers completed his General Surgery Internship in Cleveland, Ohio. He completed his Residency training in Otolaryngology (Head and Neck) Surgery in 2000 at University Hospitals of Cleveland / Case Western Reserve. During his Head and Neck Surgical training in Cleveland, Dr. Rodgers developed a strong interest in plastic surgery of the face, head, and neck. With a further desire for training in this area, he pursued a Fellowship through the American Academy of Facial Plastic and Reconstructive Surgery at Albany Medical Center and New England Laser and Cosmetic Surgery Center in New York from 2000-2001. During this year, his experience consisted of cosmetic and reconstructive surgery of the nose, eyes, face, and neck. Following his Fellowship training in New York, Dr. Rodgers returned to his native state of Idaho where he established Rodgers Center for Plastic Surgery. Dr. Rodgers enjoys spending time with his family and enjoying the great outdoors. He particularly enjoys hiking, boating and dirt bike riding. Dr. Rodgers has made numerous presentations and has had multiple articles published in major journals. He remains active on a national level with the American Academy of Facial Plastic and Reconstructive Surgery. Dr. Rodgers is certified by the American Board of Facial Plastic and Reconstructive Surgery. He is also a board certified head and neck surgeon. He is a Diplomate of the National Board of Medical Examiners, as well as a Fellow of the American Academy of Facial Plastic and Reconstructive Surgery, a Fellow of the American Academy of Otolaryngology Head and Neck Surgery, and a Fellow of the American College of Surgeons.